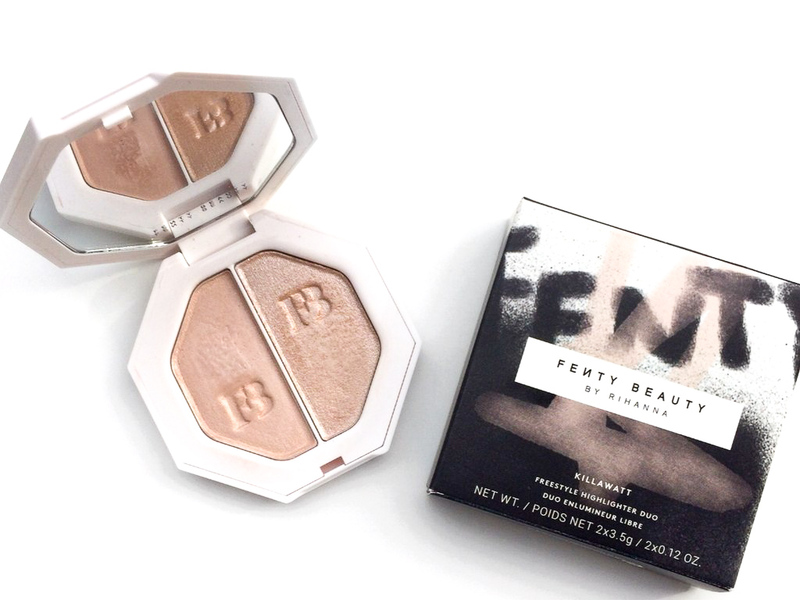 Freaking finally Fenty Beauty arrived in Italy, I’ve been waiting for this moment, so although this line has been out for a while in the rest of the world and you might have already seen thousands of reviews I still want to do my own. Fun Fact: I was so convinced I was going to get something completely different from what I ended up buying, I didn’t want a new highlighter and the duos didn’t really appeal me but I swear when I saw this one my heart lost a beat and I fell so in love with it, I’m pretty sure I’ve experienced love at first sight! 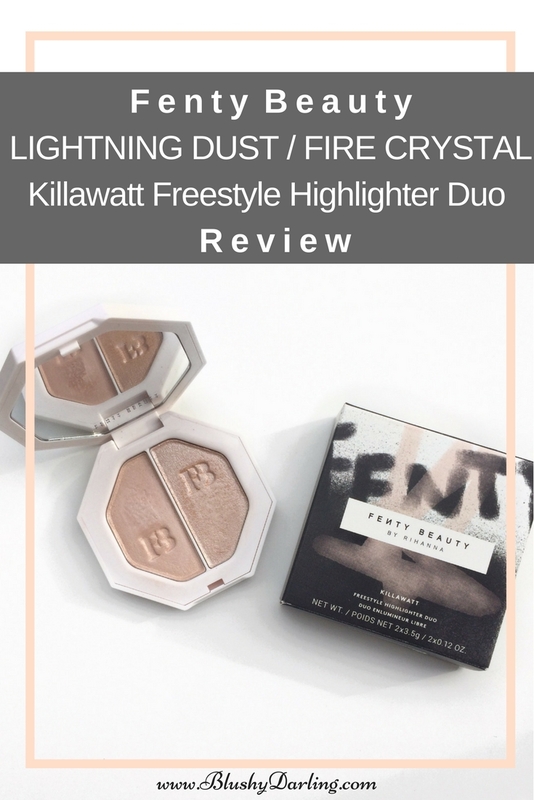 Anyway, enough rambling, I got the Fenty Beauty Killawatt Freestyle Highlighter Duo in Lightning Dust/Fire Crystal. 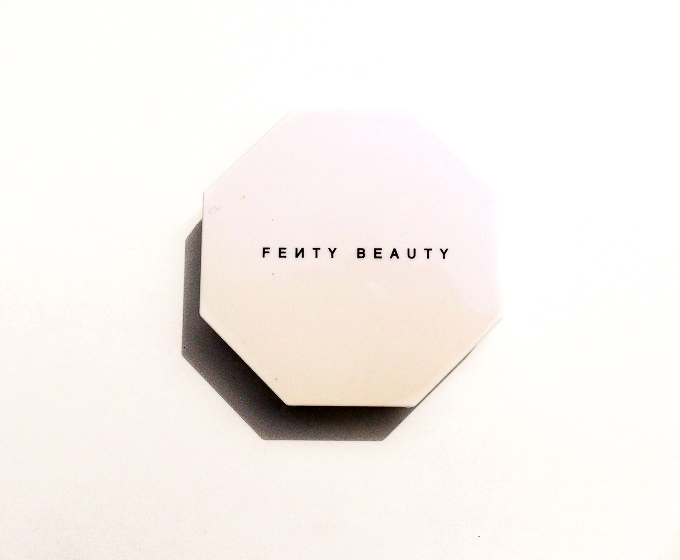 You can get it from sephora for 34$. It is this white hexagon with a purple iridescence, it comes with a mirror on the inside. It’s not super lightweight but it’s not heavy either and you have all the info in the back, honestly, is so beautiful I’m obsessed. 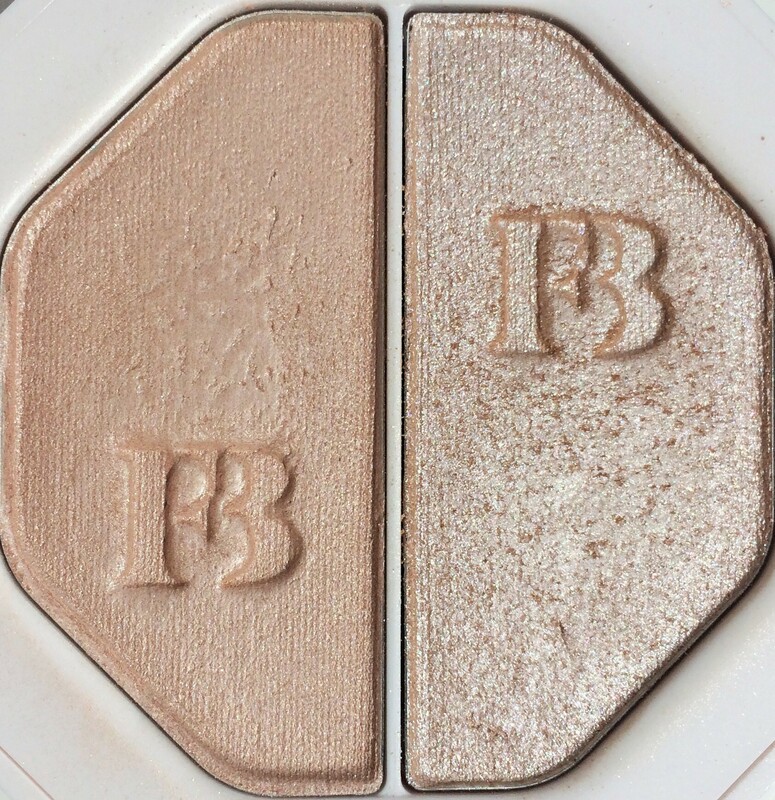 Lightning Dust (Right): it’s is a light, ivory beige with a pearly sheen. 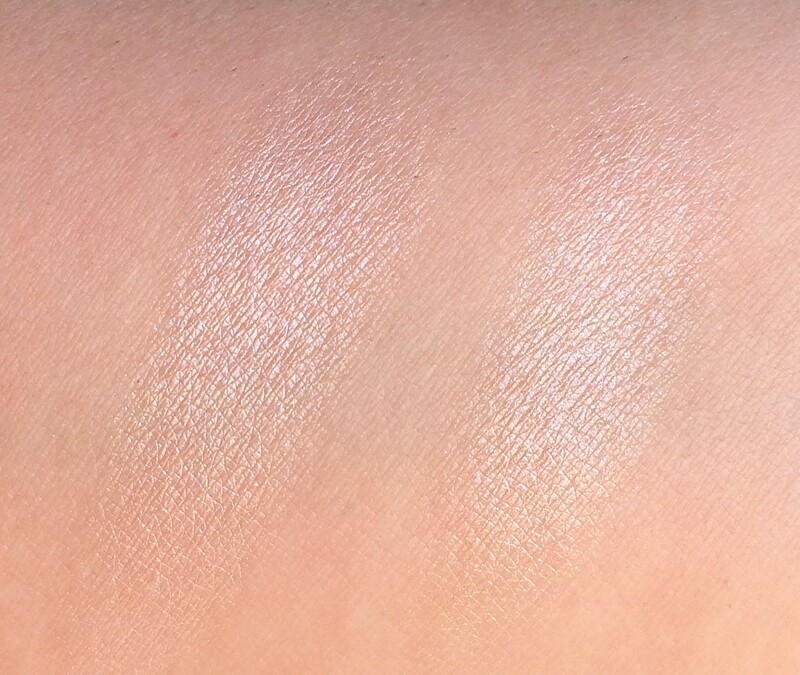 It’s the most delicate one, it’s very smooth and it has a medium, buildable pigmentation. 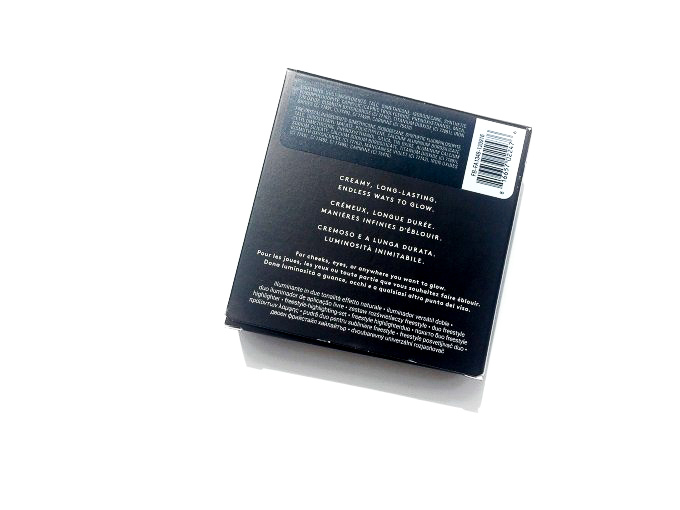 It glides on the skin and looks very natural, without enhancing texture. Fire Crystal (Left): it’s a light, yellowed ivory with warm undertones and a sparkling, metallic sheen. 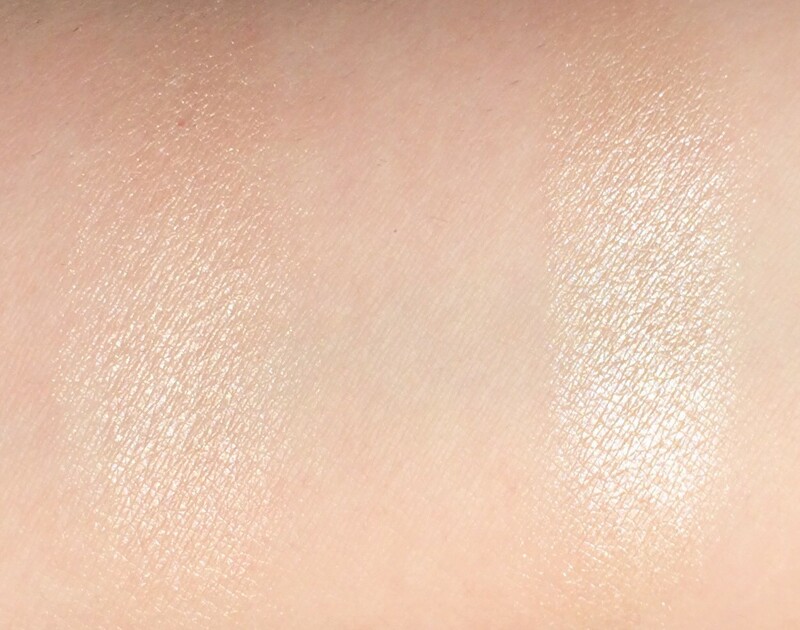 It’s definitely stronger and glittery but it’s still very smooth, almost creamy and slightly more pigmented than the other shade, this one enhanced m texture a little bit. They layer really beautifully and they are easy to apply with a brush. They blend seamlessly with the skin. 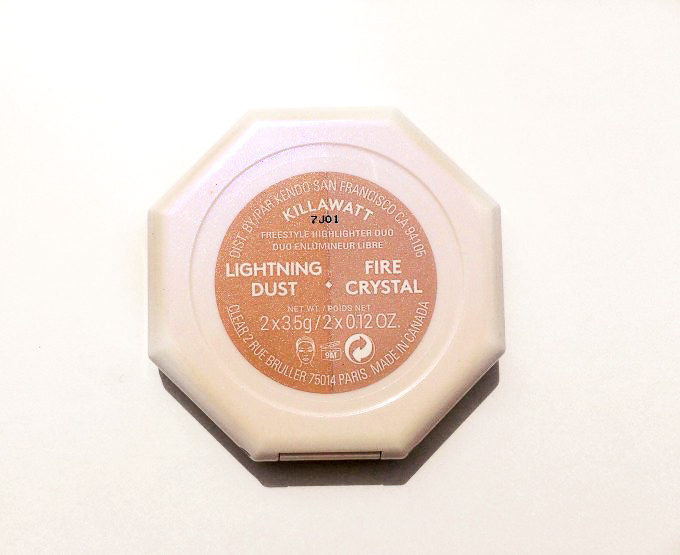 I compared Lightning Dust with Benefit Dandelion Twinkle, they are identical, that being said, I think this one it’s a better value for money and I like the packaging better. 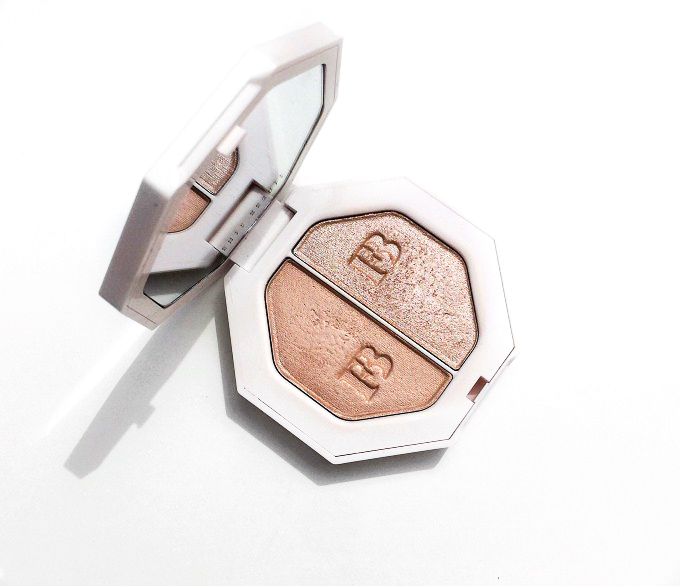 I love this highlighter, it makes you look radiant from the inside, it’s a very natural glow but totally buildable. The formula is amazing and the packaging is absolutely stunning, I love that it’s so versatile, you can adapt the shades and the colours are so beautiful together. I honestly did not think I would like it this much, it literally became a must in my collection and I think that, although it’s not drugstore price, it still has an honest price for the quality. This is one of my favorite highlights! Sometimes I’ll spray some rosewater or setting spray on my brush before applying too. I had no idea you were in Italy either, that’s awesome! There’s a clothing brand from Italy that I love, but shipping to the US is so expensive. Awesome review! It’s called Relish! I found some of their pieces in a little boutique in Killarney Ireland, the women working there showed me the Relish look book and i am OBSESSED now, I only have a t-shirt from them but id love to get more! Ooh, I want to try this! I’ve never tried anything from Fenty Beauty before! It was the first time for me too. So far, I’m impressed! Ooh so pretty! 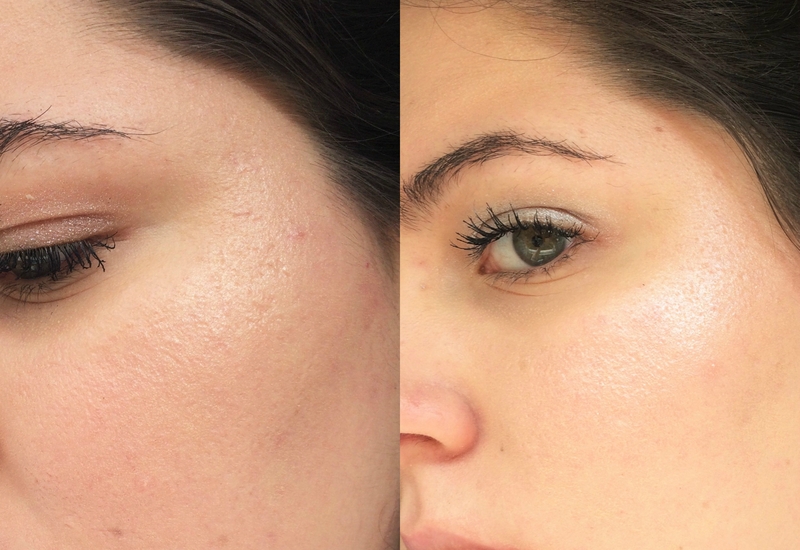 I’ve never actually used a highlighter, but I think I need to get one because it looks so good on people. I’m glad to know this is worth the price! Wow! I am a fan. 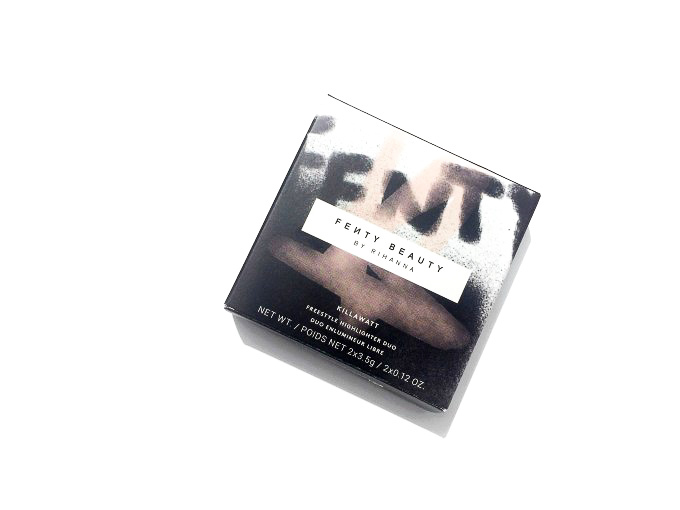 I’ve not tried anything from fenty before, but I’m thinking I might need to try this one out. Whoa I love those colors. And eight hours is alot.